A powerful concentrate targeted to rebuild the appearance of skin that has been damaged over time. 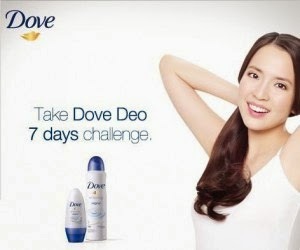 The original Dove deodorant variant which gives you visible whitening and smoothening results. Dove’s 1/4 moisturizing cream gently cares for your delicate underarm skin, helping it recover from the effects of shaving and plucking. See whiter and smoother underarms in 7 days.